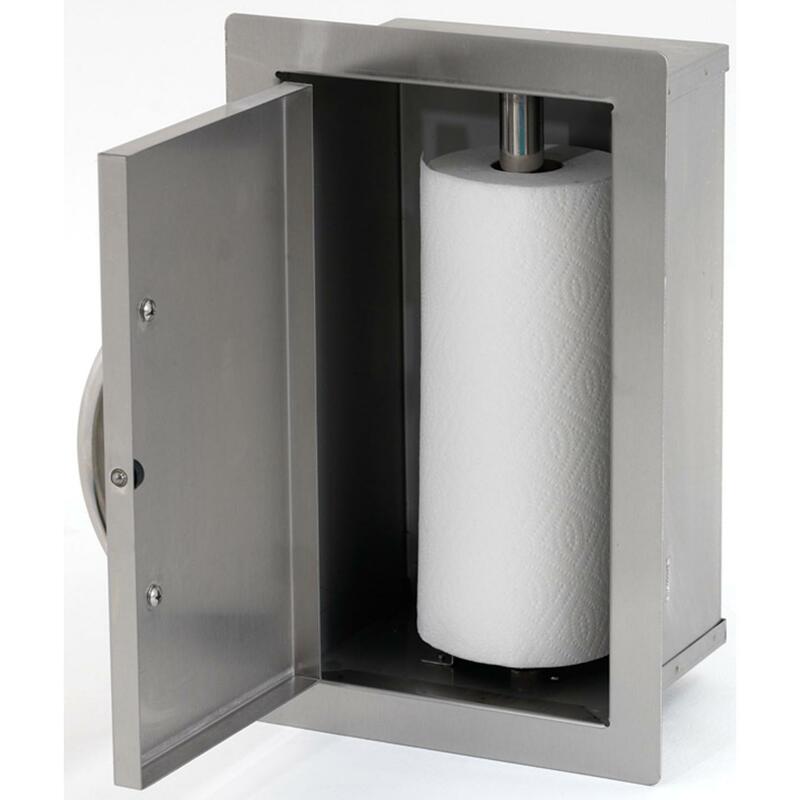 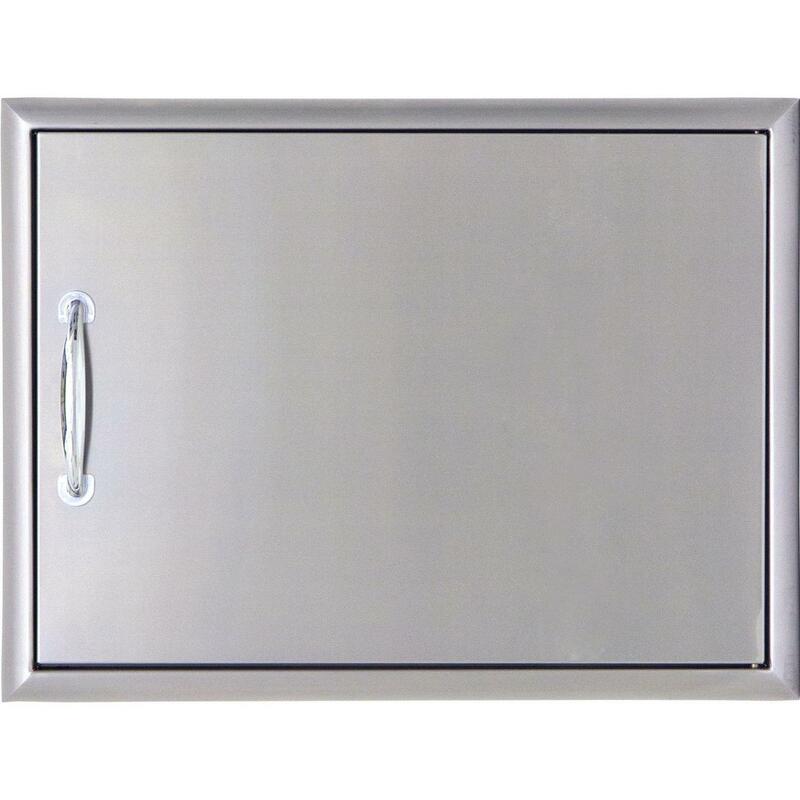 Product Description: Cal Flame 52-Inch Enclosed Complete Utility Storage Cabinet - BBQ07909. 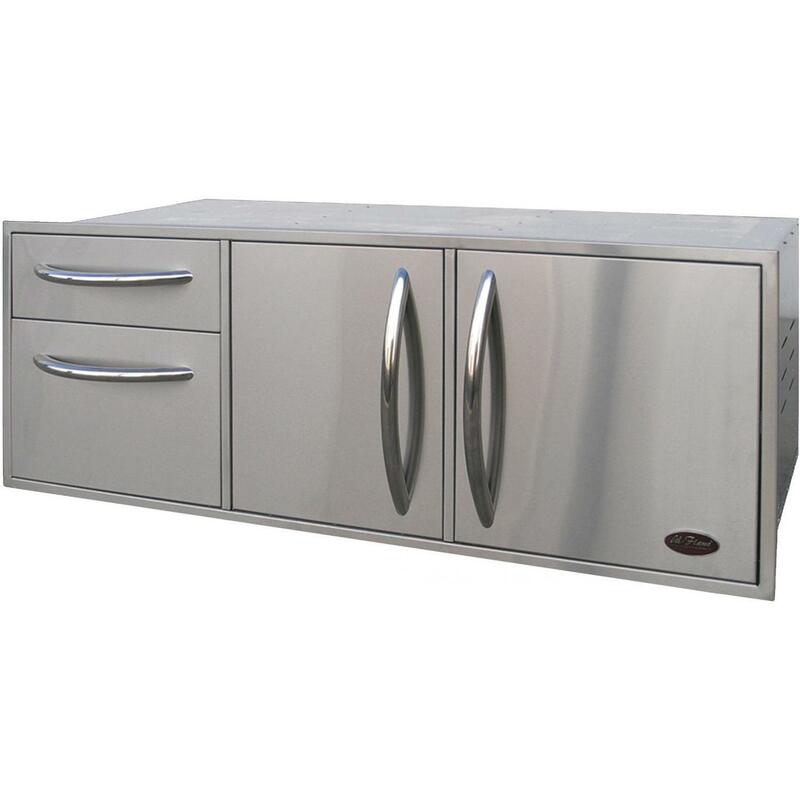 The fully enclosed Complete Utility Storage Cabinet by Cal Flame is the perfect way to keep your grill island organized. 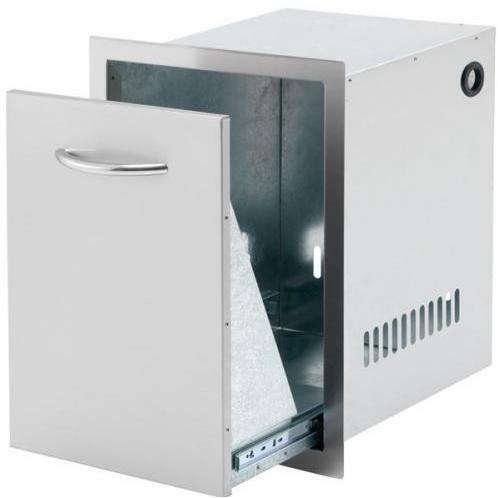 The large cabinet features two drawers, oversized doors and an oversized drawer with a pull-out tray for propane tank or waste basket storage. 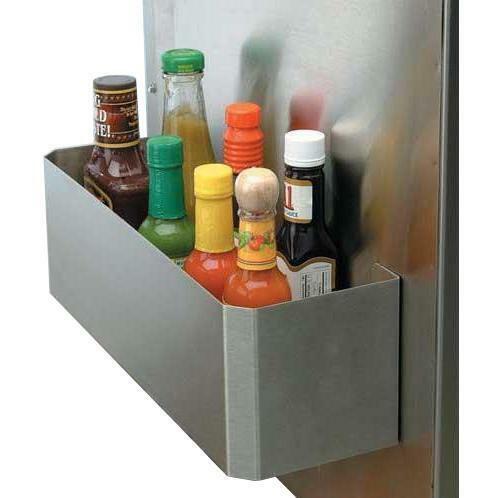 There are plenty of places to store food, cooking utensils and grilling accessories. 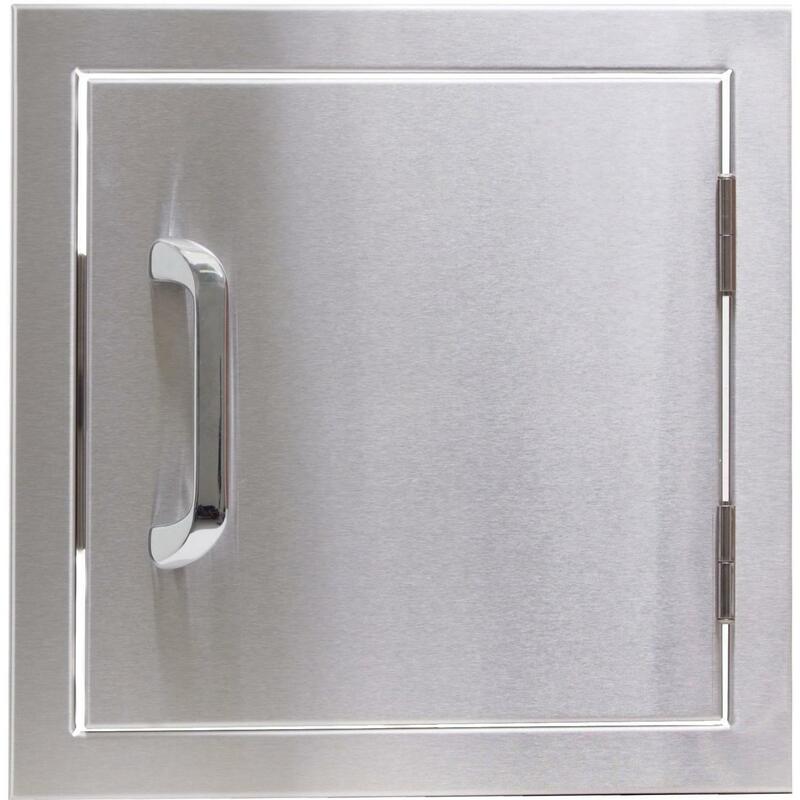 Constructed from seamless, uni-body double-layer 430 grade stainless steel, this storage set is built to endure the outdoor elements. 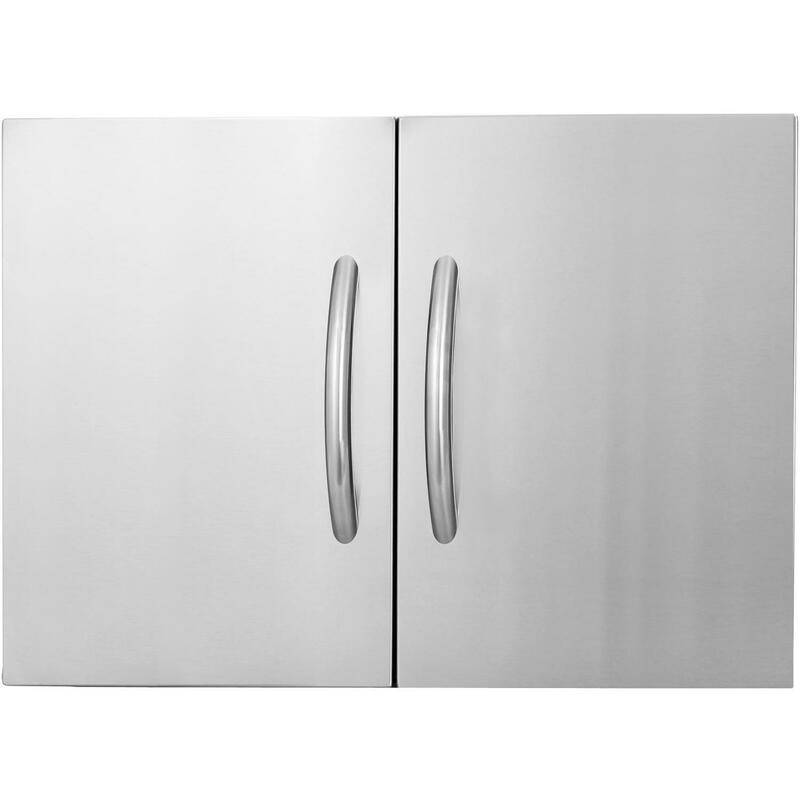 The doors and drawers feature the Cal Flame signature one-piece oversized handle for easy access.